Ever wondered how to make green pepper soup? 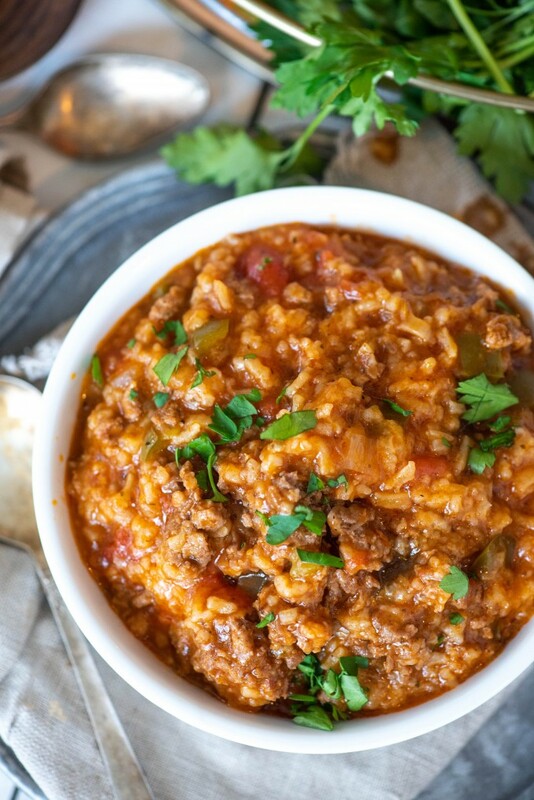 This easy Instant Pot Homemade Stuffed Pepper Soup recipe is practically dump-and-go, and is ready in a flash! All the flavors of traditional homestyle stuffed peppers, but in soup form. 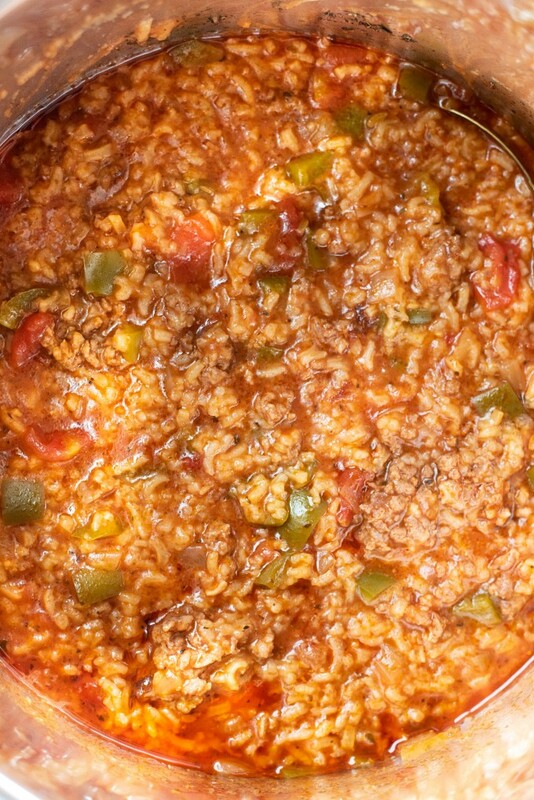 This is the best stuffed pepper soup recipe! I have very conflicting food quirks. For example, I hate strawberry milkshakes (don’t even get me started on the abomination that is strawberry milk). I adore strawberries. Strawberry ice cream is firmly in my top 3. Strawberry milkshakes? You will get a disgusted sneer out of me. It’s nonsensical. I know. I get it. 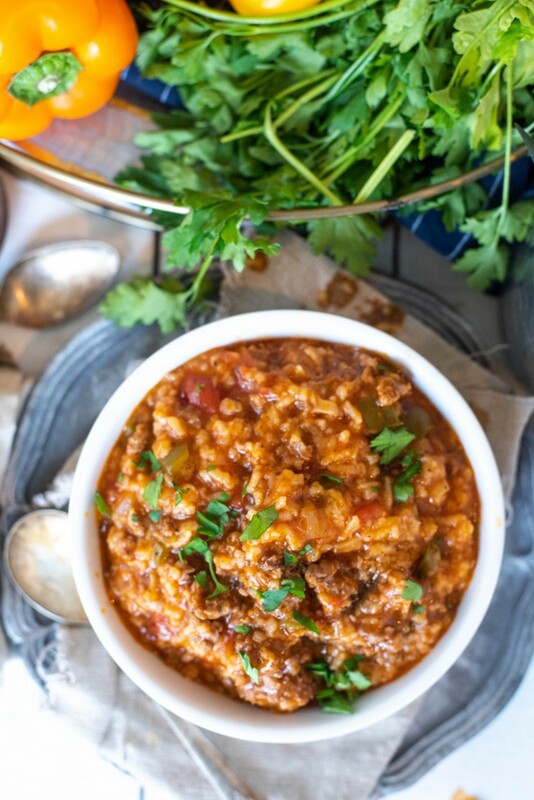 The same goes for this Stuffed Pepper Soup in the Instant Pot. Growing up, my mom would occasionally make traditional stuffed peppers for dinner. I do not like bell peppers. I would eat the rice/ground beef/tomato filling, and that would be all. For some ODD reason, I really like stuffed pepper soup. Can someone please explain to me why my strong preferences are in complete conflict with each other?? I’ve been really in love with making soups in my Instant Pot lately. They’re such a breeze, especially when you can just dump everything in the pot and be on your merry way. With the polar vortex driving temperatures below zero in Ohio AND cancelling school for two days, it seemed like the perfect time to make up a really warm, hearty soup. Truth time. Prior to this, I had never made either traditional stuffed peppers (not a surprise), NOR the soup. 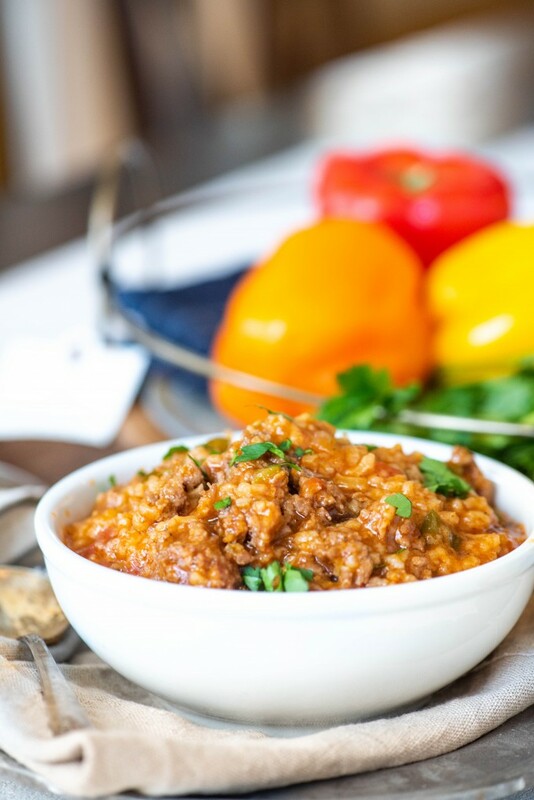 When I make my stuffed peppers, I make them completely differently, with sausage and couscous and basil, but for this I really wanted to keep the traditional beef, rice, tomato flavor profile. I ended up using a little of both, honestly. I did a combination of Italian sausage and ground beef, adding fennel seed and Italian seasoning, and punching up the flavor even more with plenty of beef stock. If you’re not a fennel seed (NOT THE SAME AS THE PLANT, I feel that its very important to make that stipulation), you can reduce or eliminate it, but I find that heavy seasoning is extremely important when cooking in your pressure cooker. Do NOT use Minute Rice in this recipe. I used jasmine rice and it turned out beautifully. Minute rice will overcook and turn to absolute mush. Don’t be shy about seasoning- the only exception is salt. You can add more of that, but you can’t take it away! I add the fennel seed, Italian seasoning and SOME salt to start, then finish seasoning after cooking to my taste preferences. Like spice? Try it with some hot sauce! I love how quick this is to make. And it makes a hearty meal perfect for winter weeknight dinners. So delicious and easy to make! My family loved it!